The City Police arrested 28 people and raided a number of addresses in Copenhagen this morning on the heels of the violent demonstrations that took place in Nørrebro on Saturday night. 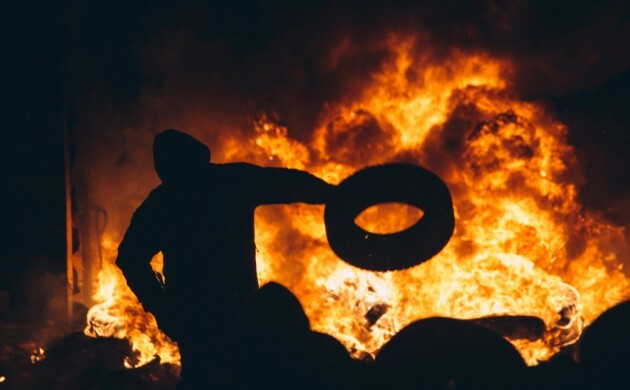 The police said the action was part of efforts to locate the individuals involved in the riots during which police officers were forced to protect themselves from stones, bottles, fireworks and Molotov cocktails. “We’ve received some tip-offs and we’ve looked through video footage that has led to us raiding a number of addresses,” Poul Kjeldsen, a police inspector from the City Police, told DR Nyheder. Some 13 of the 28 people arrested have been released again, and just two of those arrested have been charged with vandalism and disturbing the peace. Most of the arrests took place at a housing co-operative on Baldersgade in Nørrebro where police found some hand weapons, throwing weapons and cannabis plants. The riots kicked off after a Reclaim The Streets demonstration turned into mayhem ending with several financial institutions and estate agents being vandalised.